Teaching is selling when done right. Helping. Influencing. Empowering. Educating your customer on using your product or service is fundamentally important. You don’t want people to just buy your product or service, you want them to use it and use it confidently. The leadership team here at BombBomb saw the need for video education in sales and realized that our strategy needed a refresh. Watch the webinar recording above to learn why we made three video action plans, what’s inside, and how to use it to build relationships and grow your business more effectively with simple video messages. Steve Pacinelli, BombBomb’s Chief Marketing Officer, talks in the webinar about internal research on people who start free trials of our software. It confirmed what basic logic would suggest: the more videos someone sent during their trial, the more likely they are to subscribe as a customer. This, of course, would be true of most products and services. When someone actually uses BombBomb, they see actual results. When they see results, they continue to use the product. It’s a virtuous cycle. Ethan Beute, BombBomb’s VP of Marketing, elaborates on this and talks about how the cycle stalls out. 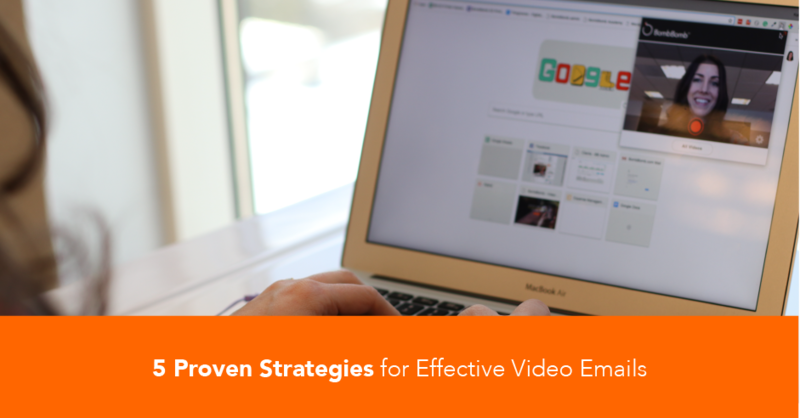 As a company we’re good at explaining how replacing some of your plain, typed-out text with simple videos can rehumanize your communication and why face to face communication is best. But we could go further in explaining things like who to reach, what to say, when to send, etc. To close the gap and to help customers and people in free trials, we took our own sales experience, lessons learned from customers, and everything gained in a decade of building the movement toward relationships through video and created an Action Plan for your first 4 weeks of BombBomb. We created specific versions for Real Estate, Mortgage, and Sales. Each has specific activities to increase lead conversion, generate repeat and referral business, and save time and improve efficiency. You’ll get training videos, live scripts, written scripts, and more! If you’re already a BombBomb customer, watch the webinar above to learn how to customize your video Action Plan. If you’re not yet using BombBomb, click here to sign up for a 2 week free trial (no credit card required!). During your free trial, you’ll be contacted to schedule a meeting with one of our success coaches. He or she will learn more about you, your business, your processes, and your goals, then customize your Action Plan specifically to overcome your challenges and capitalize on your opportunities.